There is something wonderfully comforting about an old friend. Someone who has known you through all the awkward stages you have passed by on the way to who you are truly becoming. Someone who not only knew and loved you in spite of the glasses, braces and overly-dramatic crushes of junior high, but who also fits seamlessly into your current life as a grown woman, wife and mother. Kristin is one of these friends for me. I first met Kristin in junior high, although I can no longer remember in what class or through whom. What I do remember is, even way back then, Kristin was the kind of girl you just wanted to be around - confident, tall, thin, blonde and athletic. Back in our early teen years, our friendship consisted primarily of the typical teenage girl stuff - namely talking for hours on the phone about who was rumored to like who. Our friendship matured as we did and continued throughout high school, but ultimately, was neglected when we both went away to college. Fast forward several years to our tenth high school reunion. I was seven months pregnant with my first son and feeling enormously insecure in my snug maternity dress with my swollen feet teetering precariously in heels. Surely, several of my former classmates would be also be expecting. But, one look around the ballroom confirmed that I had the only expanding belly in the room. Then, I ran into a mutual friend who told me that Kristin had been unable to make the reunion because she was at home on bed rest. Within a couple of days, Kristin and I had reconnected over email. As it turns out, we were working in very similar fields, owned houses only five minutes from each other, and were both newly married and expecting our first children about a month apart. I love that moment when you discover that the path of your life and that of an old friend's have been silently moving along the same trajectory, until you meet again. There was an instant sense of kinship between us. 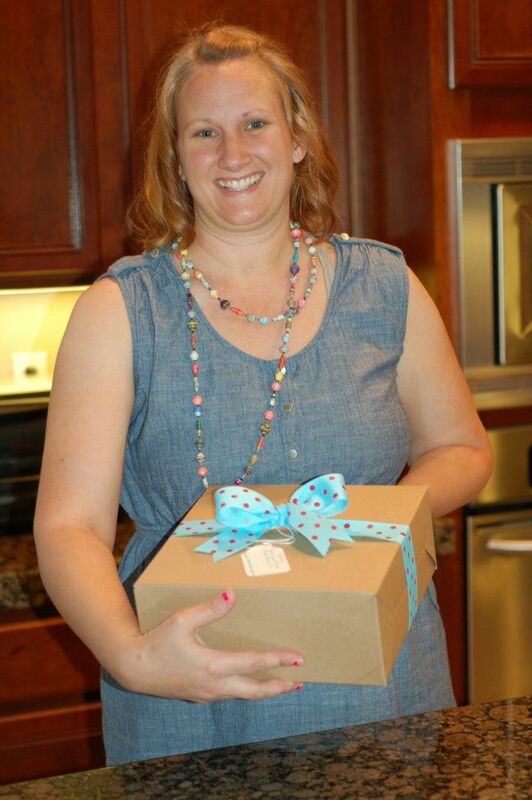 Reconnecting with Kristin was one of those pivotal moments in my transition to motherhood. When my son, Wilson, turned just one month old, Kristin and her daughter, Paige, came over for our very first play date. In retrospect, I realize that the only ones playing (or doing much of anything for that matter) were the grown-ups. I believe our first play date consisted largely of nursing, followed by diaper changes and rocking babies to sleep. But, amidst the fumblings of new mommies, a friendship had been resurrected. There was security in knowing that Kristin was two months ahead of me in the whole parenting thing, and she was a welcome wealth of advice and reassurance. When Wilson was just five months of age, my dad passed away. And for the first time since becoming a parent, I found myself in the emotionally charged position of needing to leave my child so I could attend my father's funeral. Kristin was my most trusted friend, and I was so grateful for her willingness to watch him. 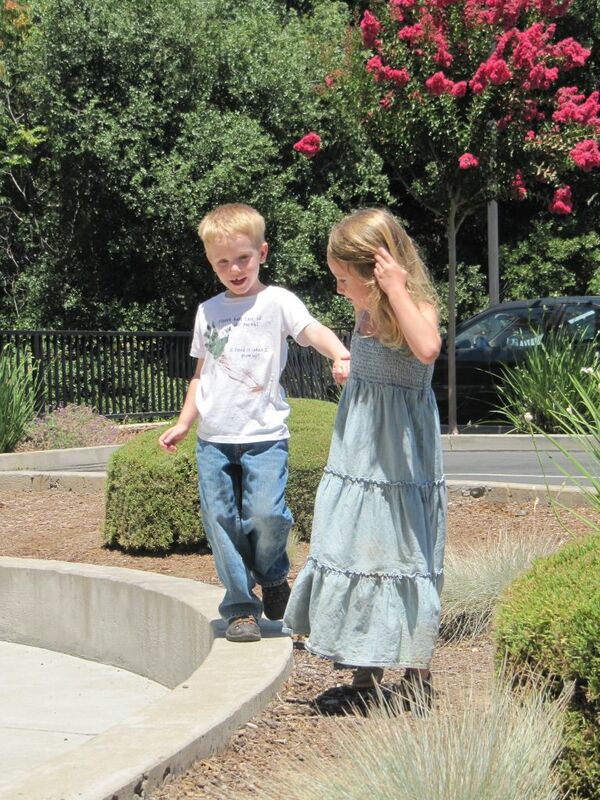 As I dropped off my little guy that May morning, I knew she would care for him the way she did for her own daughter. And when Will went to pick him up that afternoon, Kristin sent him home with his first ever art project - a finger painting. That picture, with it's random smears of yellow and blue, still hangs proudly on the wall of our kitchen. Kristin and I took any and every opportunity to get together with our growing families. 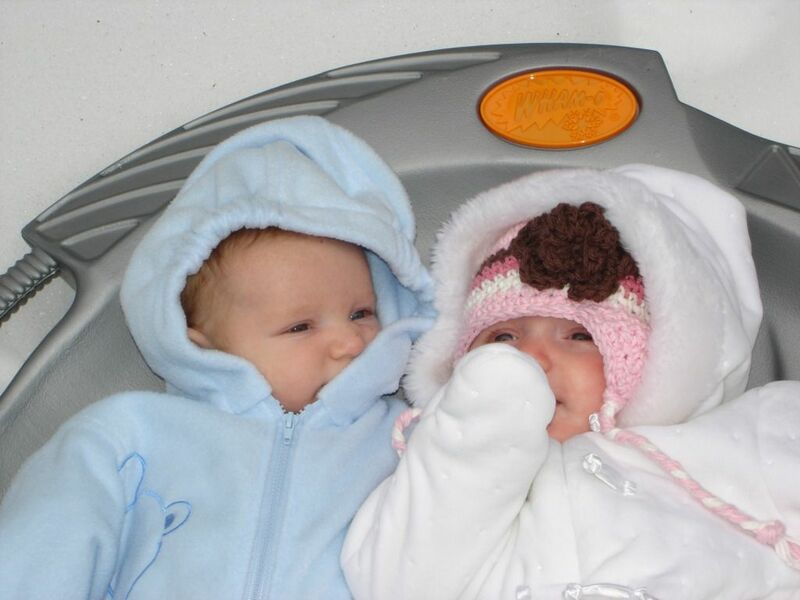 We took the babies to the snow, the zoo and the park. 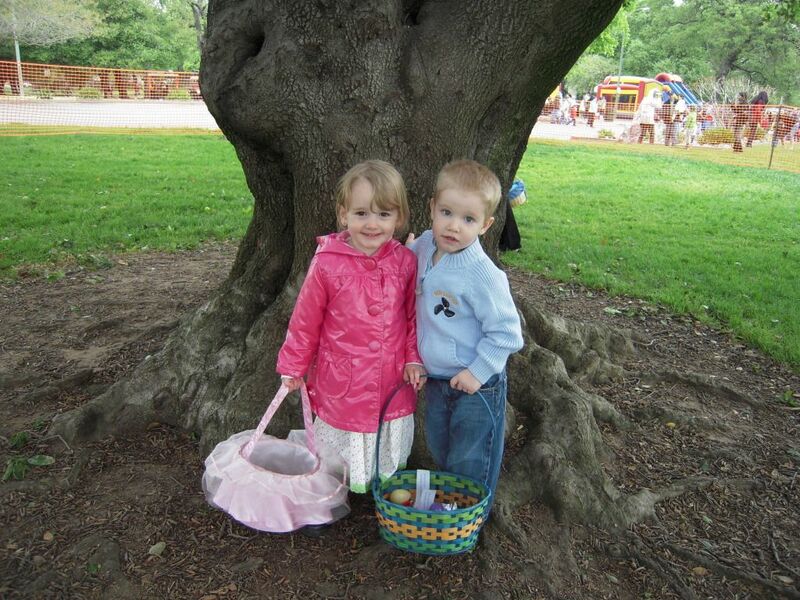 We even developed our own holiday traditions together - Easter egg hunts, annual trips to the pumpkin patch, and caroling and visits from Santa at Christmas. 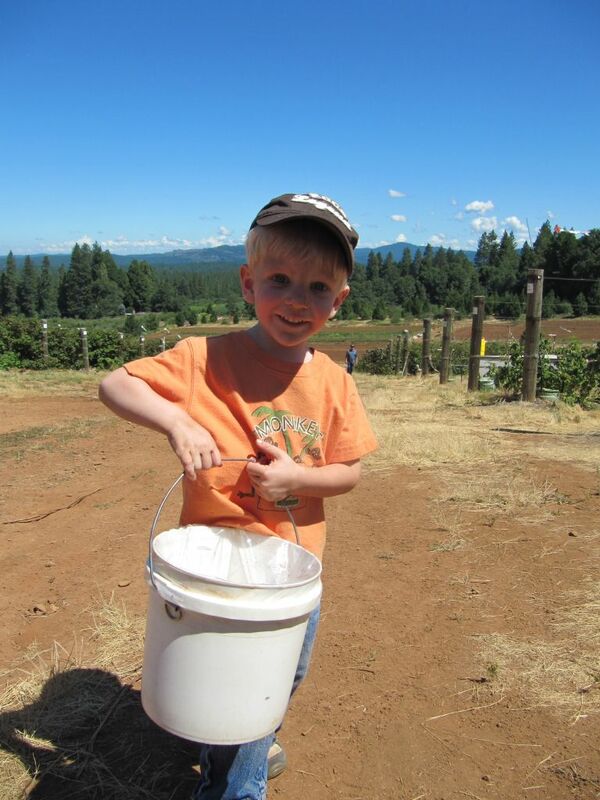 One of our favorite family traditions is berry picking in Apple Hill. Last year, after a bountiful day of blueberry picking, Kristin invited our family over to share in the first and only pie anyone has ever made specifically for me - blueberry pie. Unfortunately, the pie came out a bit saltier than anticipated. And, while I politely ate my entire slice (Who am I to pass up homemade pie? ), the husbands left their portions largely untouched. 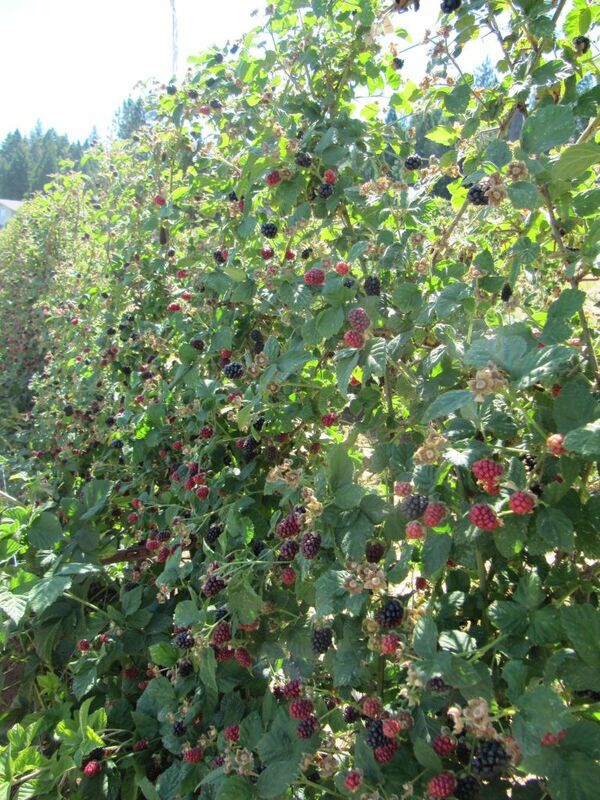 So this year, it was time for berry picking pie redemption. 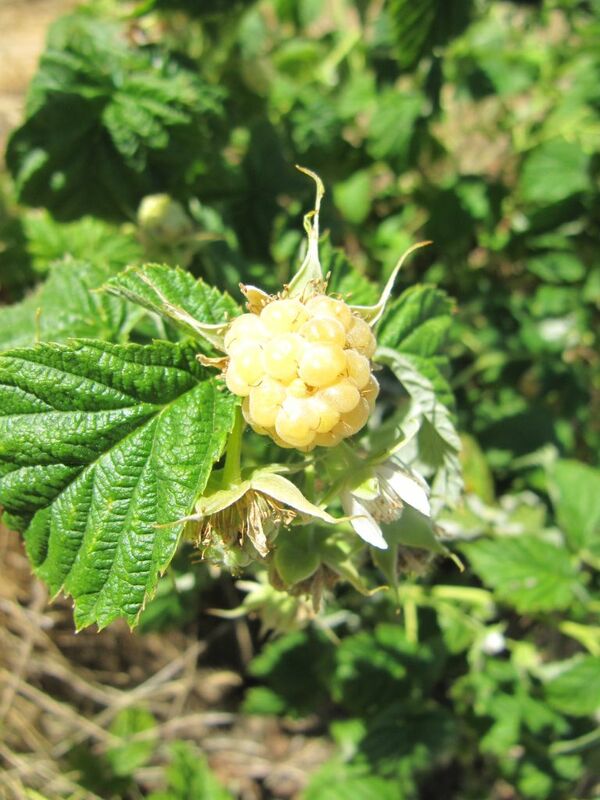 We decided that because the kids were a bit older this year, we would brave the thorns to harvest a greater variety of berries. 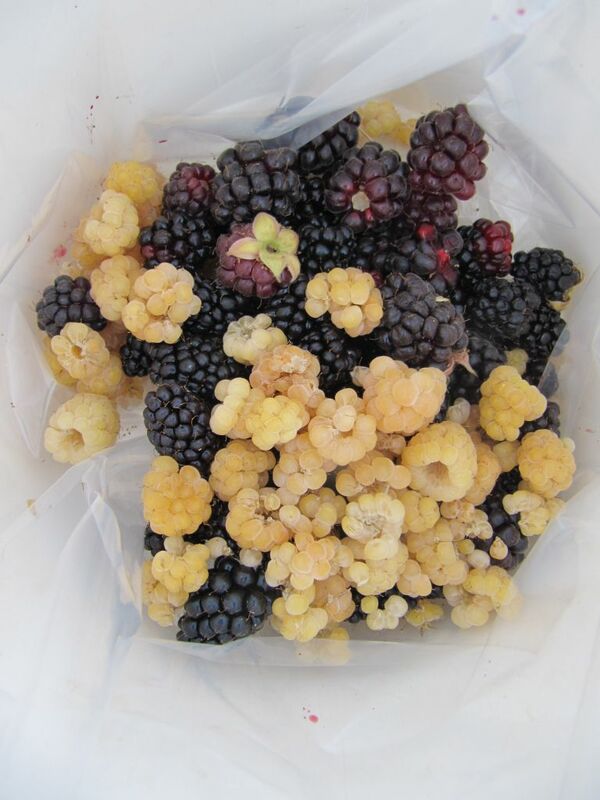 With our little ones in tow, we loaded our buckets with everything from blackberries to boysenberries, marionberries to olallieberries, and the prize of the day - golden raspberries. 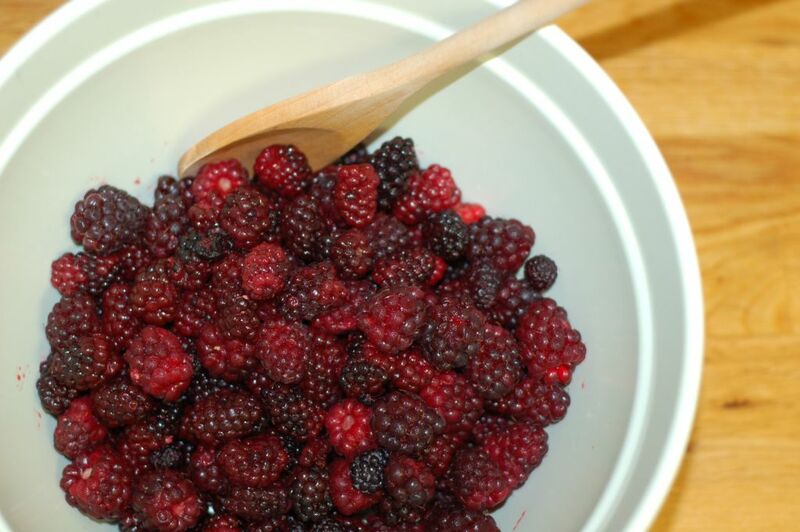 All together, our bountiful harvest was just enough for the makings of a mixed berry pie - Kristin's "Berry Good Friend" Mixed Berry Pie. I prepared my standard crust recipe, this time separating the butter-laden lump of dough into two sections - one for the bottom crust and the other for my first foray into the world of lattice tops. 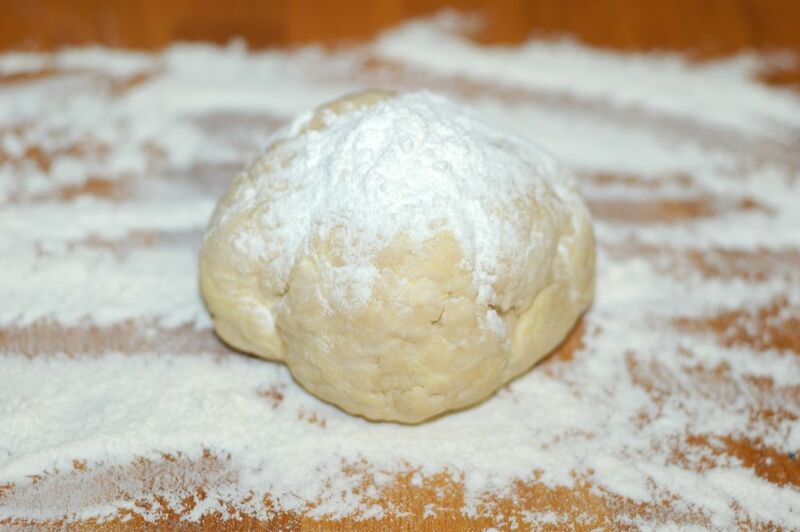 Once the dough had chilled, I generously floured the board, rolled the bottom crust to a thin uniform sheet and carefully spooled the dough onto the rolling pin to transfer it into the tin. Finally, I crimped my way around the pie shell, pinching my left thumb between my right thumb and forefinger to form a series of delicate v's. 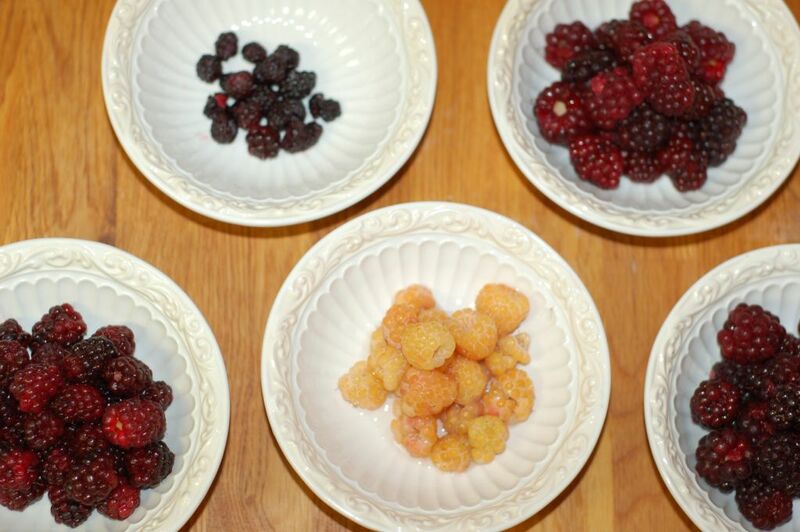 I rinsed and drained the berries, placing them on paper towels to dry. Then, I added granulated sugar, small pearl tapioca and a dash of cinnamon to season the heaping bowlful of berries. 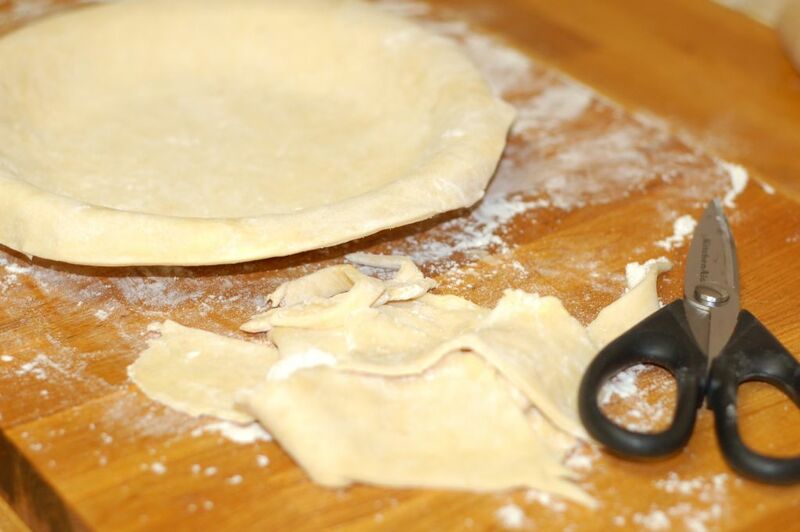 Using a pasty brush, I glossed the bottom crust with an egg white wash to prevent it from becoming soggy in the oven. 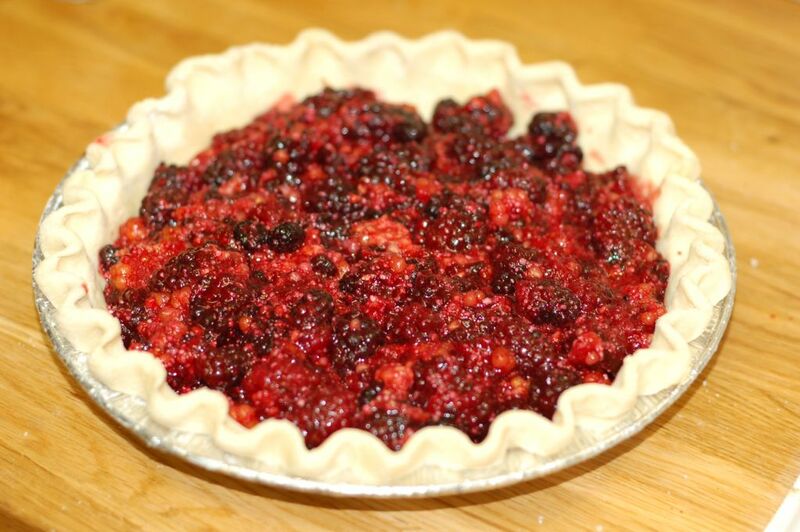 Then, I spilled the entire bowlful of sweetened red and purple fruit into the pie shell and set to work assembling my first lattice crust. 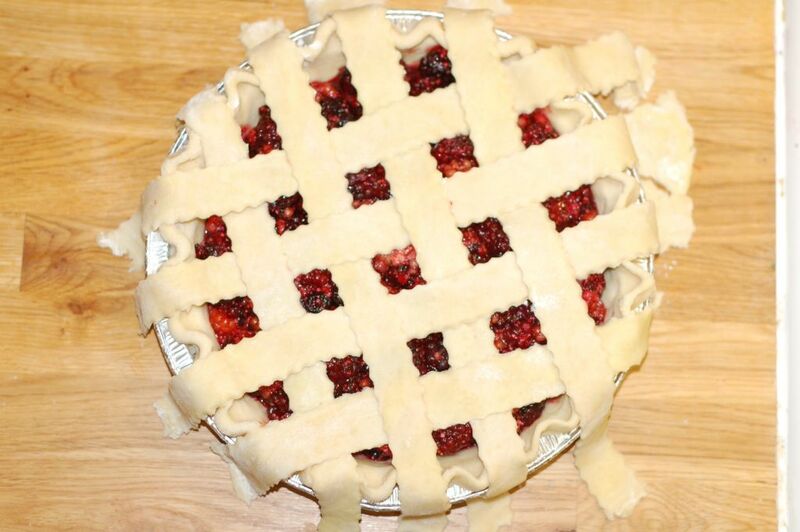 Okay - so I was a bit intimidated by the lattice crust. In all honesty, I have not so unintentionally avoided one up until this point - opting instead for it's slightly more forgiving cousins: double crust and dutch crust. 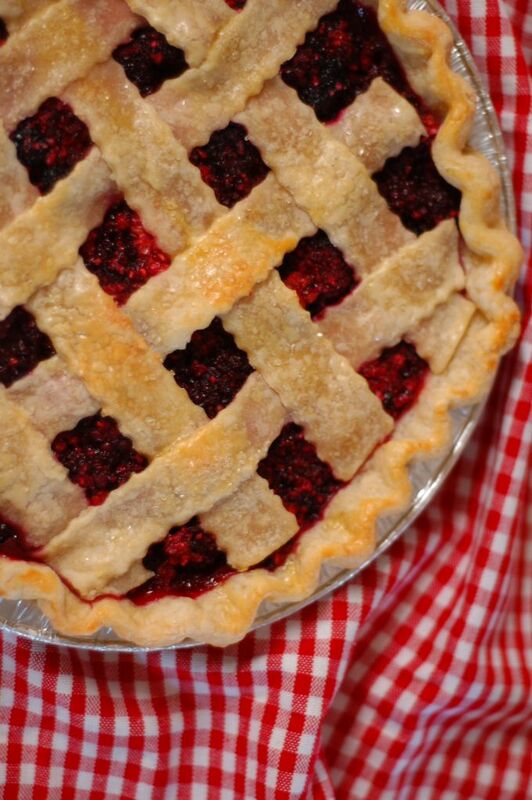 But, a well-executed lattice crust really is the quintessential pie covering. Delicate ribbons of flakey golden brown crust woven from edge to edge, blanketing all that bubbling, juicy fruit filling. I just had to give it a try. 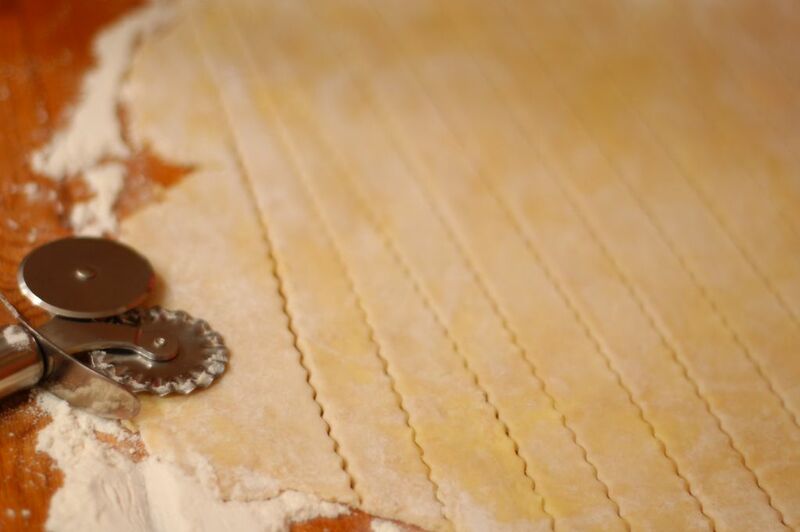 So, I rolled out the remaining ball of dough, grabbed my brand spankin' new double-sided pastry wheel and set to work slicing eight scalloped ribbons. Carefully, I interlaced the inch thick strands, alternating over and under one another, as if on a loom. 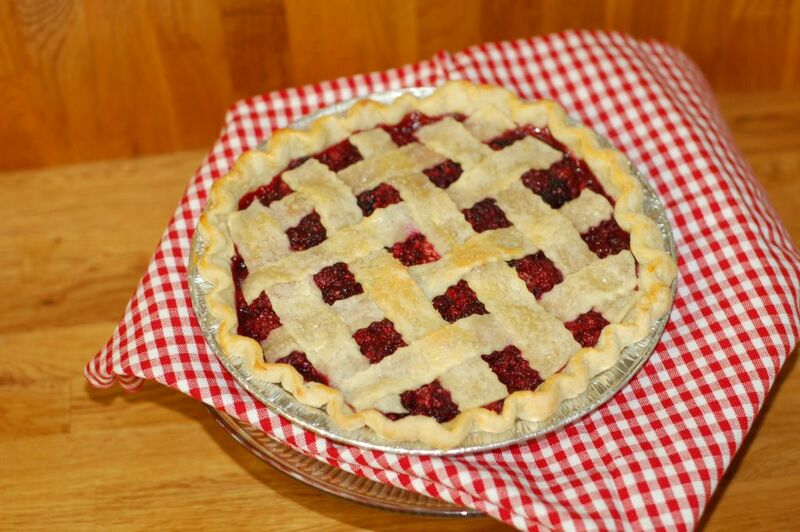 And, voila - instant lattice crust! Finally, I brushed the woven top with a mixture of egg yolk and heavy whipping cream for a golden sheen before sprinkling the entire pie with coarse, raw sugar. Into the oven with tin foil protectively covering the delicate edges and forty minutes later, I pulled a beautifully fragrant, bubbly berry pie from the oven. As an adult, I have learned that people come and go from our lives, often reappearing just when you need them the most. This is definitely the case for Kristin and I. And while I know that the demands of raising little people and balancing work and family allow for less time together than either of us would choose, I am confident that ours is a friendship that will stand the test of time. 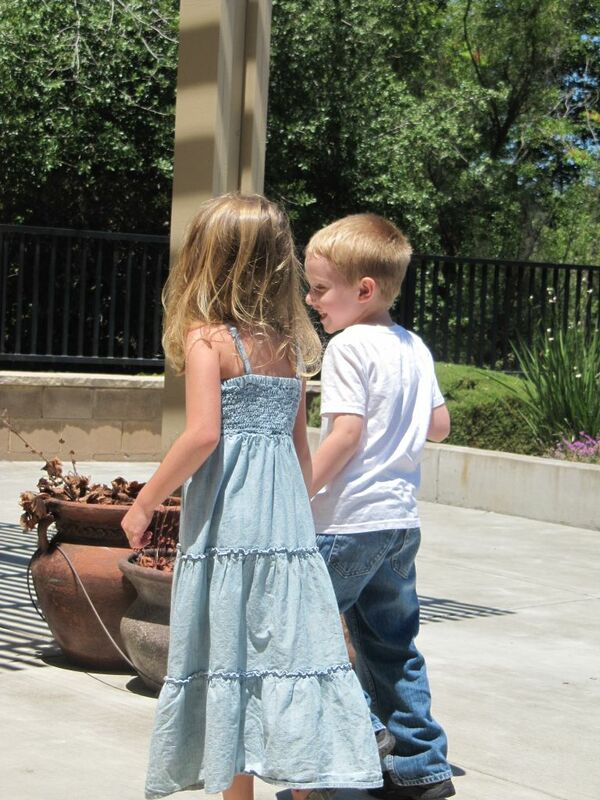 It has been such a blessing to see our little ones grow and form their own friendship with one another. Second generation friends. 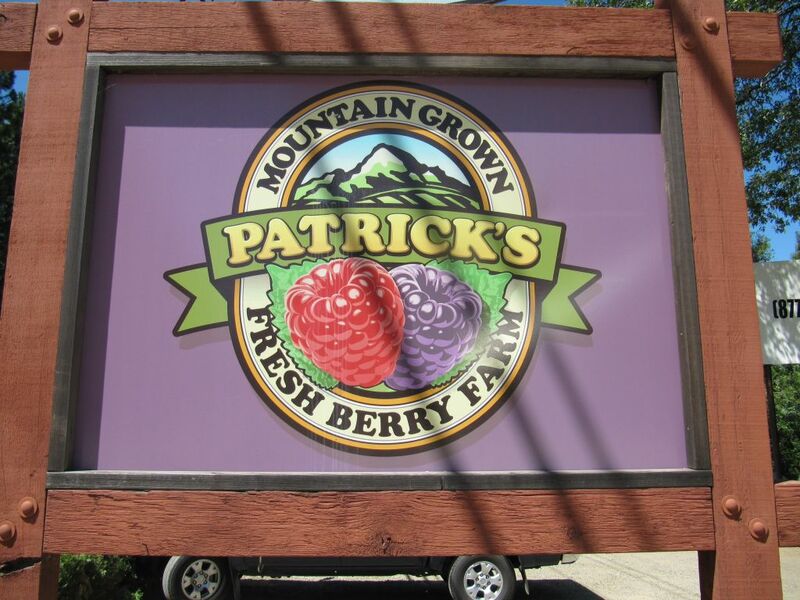 From junior high to parenthood and from those first play dates spent largely asleep to the pretend "dates" of our four years olds skipping hand in hand, a good friend really is a "berry good" thing. I am so blessed to have you and your family in our lives. This is one of the most thoughtful things anybody has ever done for me! 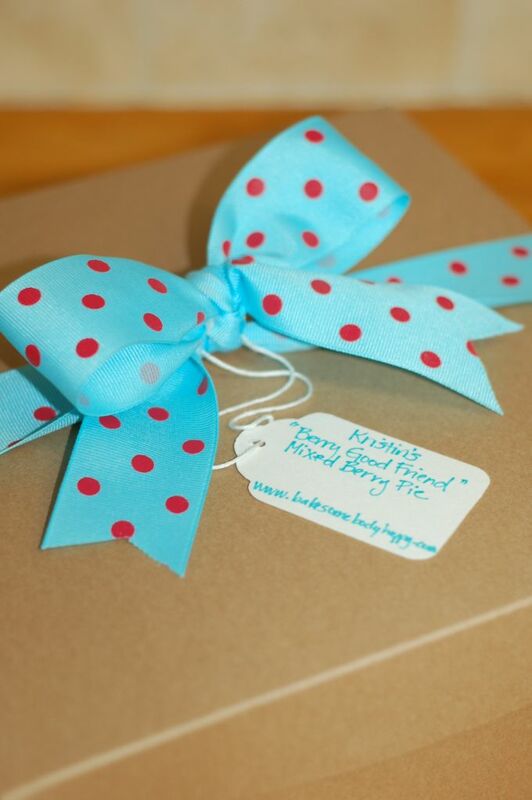 Thank you for being a "berry special fiend"! PS The pie was amazing...you have truly found your calling with your words being as good as your pie!